Solar Panels and Inverters, Our First Solar Repair Experience. In 2012, shortly after moving to electric with our BMW Active E, it became apparent to us that installing a solar array on our roof was going to be beneficial for us to lower the cost of our transportation fuel as well as our consumption of energy at home. Producing our own fuel coupled with net metering and time of use would provide us with efficiency that would provide for a rather quick payback. When we first bid out our homes’ solar PV, we shopped it around and ended up with Solar City. As I’ve documented before, because there was a snag in the age of our roof, we had the opportunity to re-open this to others and ended up with Real Goods Solar (RGS Energy). We documented all this in some articles on this blog. I did a follow up that covered the installation. Because of how things worked out for us, we opted to pre-pay our power purchase agreement with Real Goods Solar for the 20 years of service that we signed up for, if we do this again now, we would buy the system instead, but I didn’t want to have to worry about maintenance and the like. Which brings us to the subject of inverters. As I understand it, the inverter is the device that converts the Direct Current (DC) produced by our solar panels into AC (Alternating Current) energy that our appliances and other domestic household devices uses. Every solar company that I spoke to during the bid process basically said that the main thing that would break in a solar installation is the inverter. 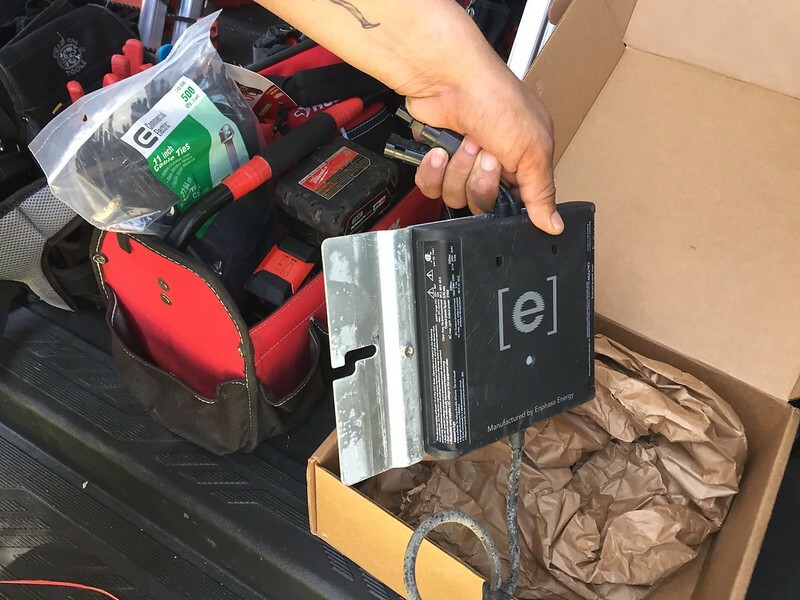 Under original solar installation designs, solar installations would have ONE or TWO inverters that connect the whole system to the home and electrical grid. 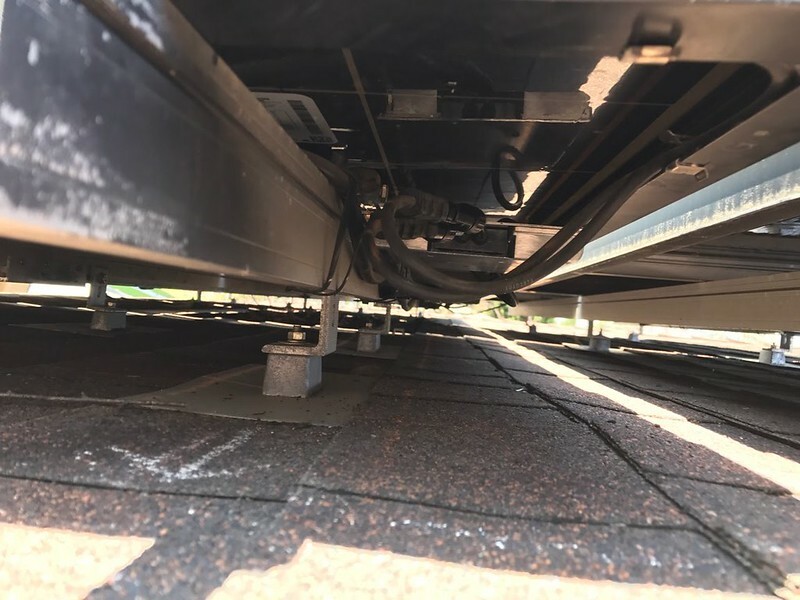 This means that if the inverter failed, the energy produced by the solar panels would not be converted to AC power and be effectively out of service for the whole system until it gets repaired. We picked Real Goods Solar primarily for financial reasons. However, at the time, they pitched an interesting system using micro-inverters. Instead of one (or a primary and backup) inverter situation for the house, each solar panel has its own inverter that converts the energy produced by each panel to AC. This configuration spread the risk of outage from the whole system to just a single panel at a time. Being a systems guy and understanding single points of failure versus minimizing this, I appreciated the pitch, but money savings really drove the decision. 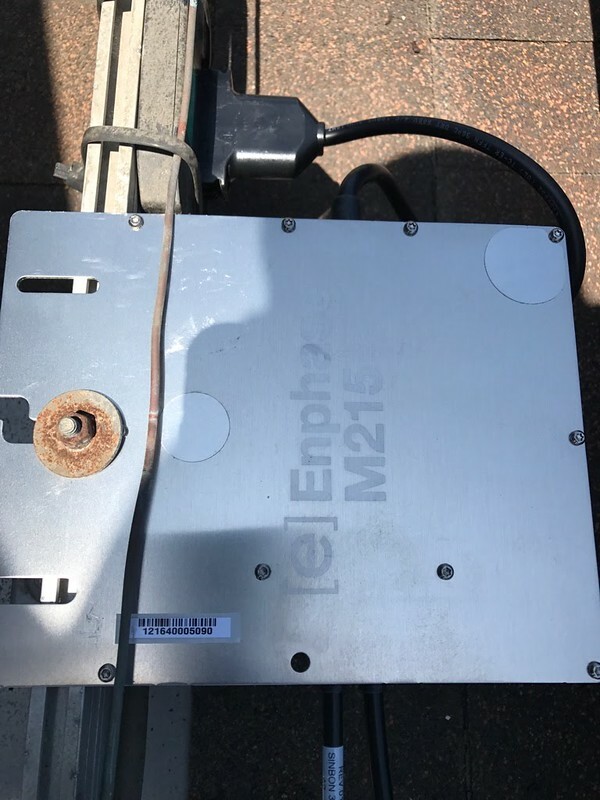 One of the technical benefits we got from having the micro-inverter solution is we are able to see the production of our solar system down to the panel level. Or on the mobile app. A few months ago, we experienced our first repair under this program. On the weeks prior to failure, I started receiving alerts regarding AC voltage being out of range and on March 8, I noticed that one of the panels had a hard failure. 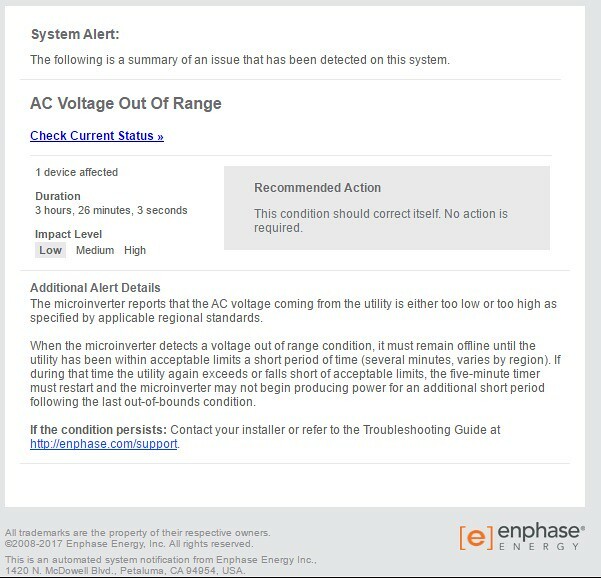 This is a screenshot of the email that I received to show the errors in one of the micro-inverters that started to occur. 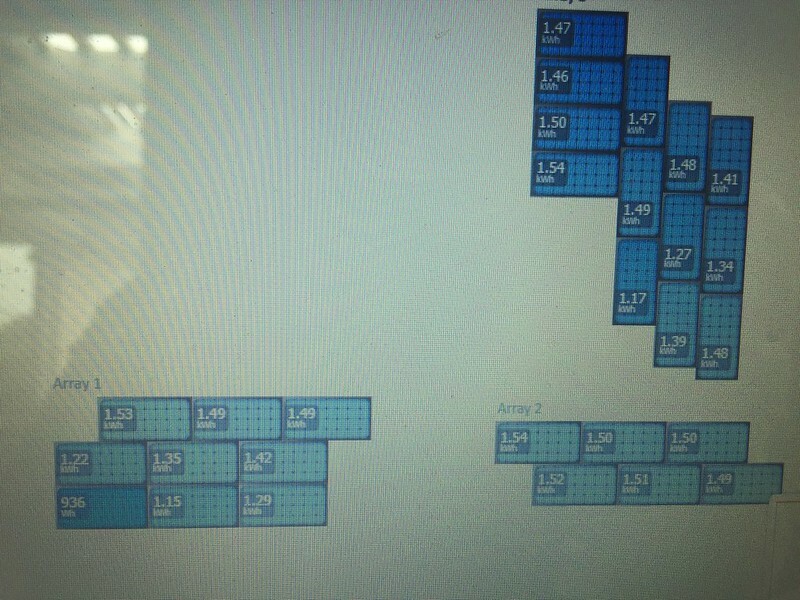 It looked minor at first, but as you can see in the graphic of our system, one of the panels is grey. And this is a good indication of the failure AND the location of the failure in our system. 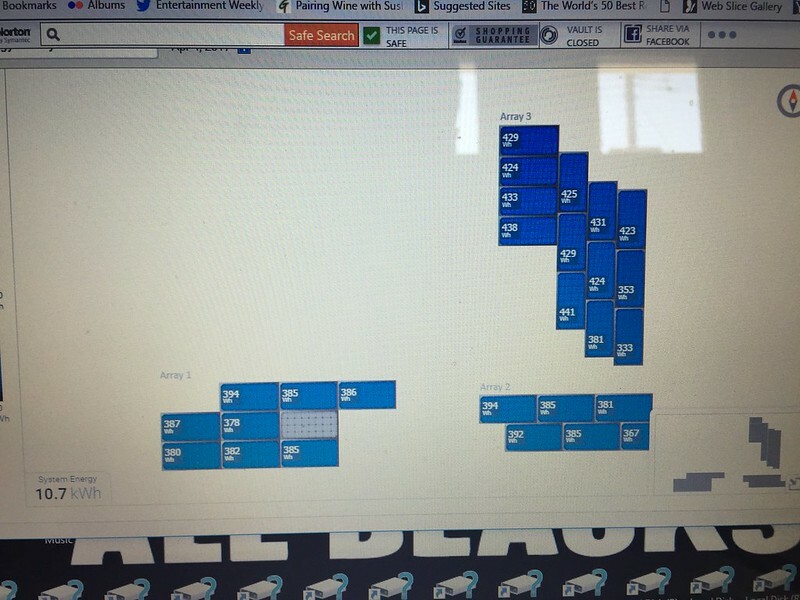 I reported this to Real Goods Energy and received a trouble ticket on March 9th. They remotely diagnosed the problem and required me to contact the owners of the system. Since I am on a Power Purchase Agreement (PPA), I don’t actually own the system on my roof, I effectively buy power from those that do at a predetermined rate when I signed my contract. Traditional PPA purchasers do this on a monthly basis that have riders that increase the cost per kWh over the years, but we decided to prepay the entire contract at the time that we finalized our deal and therefore fixed our cost per kWh soon after the installation was complete. Therefore, technically, we don’t own the system on top of our roof. The owner to the system provided approval and we waited for the repair to be completed. It took about a month for the full repair to be completed and I estimate that we lost about 40kWh of production from having one panel out that entire month. To put this into perspective, the whole system produces 40kWh on a Summer day, so even though the panels were missing one of the 28 panels on the roof from producing, my outage was only equivalent to one day’s outage with a more traditional set up. So, what does a micro-inverter look like? Well. Here are a few photos. Here is the broken one getting put back in the box. Here it is on the roof. And here it is installed and in-place. 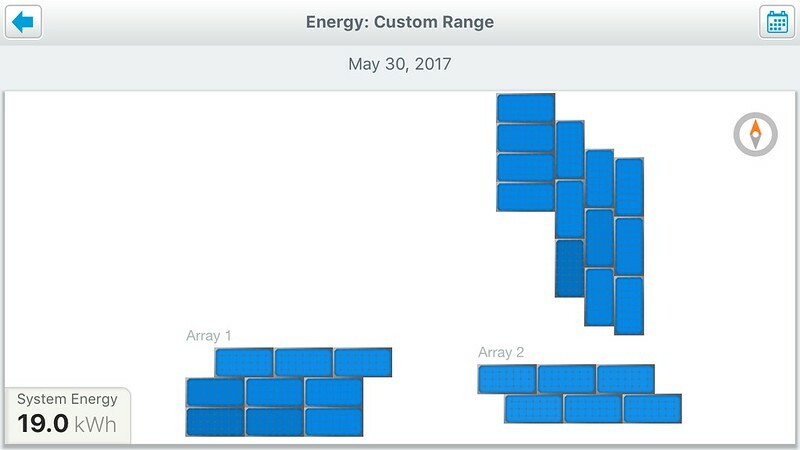 In writing this article, I was looking for pictures of larger inverters and came across this picture of a commercial solar installation from Brightergy.com. 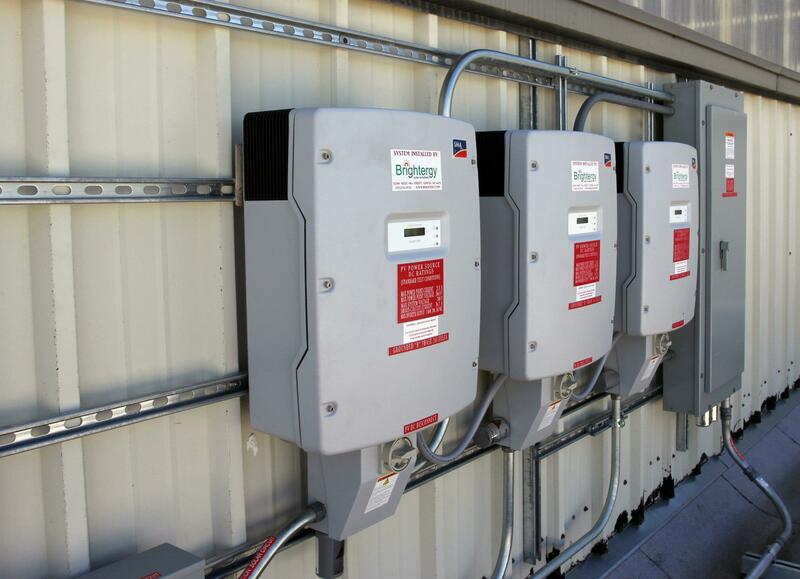 The picture is from an article “How Solar Inverters Work” from February 6, 2013 on the brightergy website. It also covers inverters. Here is the picture of a more common inverter from Wikipedia’s article on Solar Inverters. Why would I not want to use micro-inverters. In moderate climate, like California, it works great. However, someone in Arizona has mentioned to me that it is too hot in their climate. I don’t know if this is true, but it has been reported by one person to me. Consider going solar, use our referral code here. If you wish to have a longer discussion, I have access to other installers as well. Send me a tweet and we can get that process started interactively. The washer attaching the inverter to the rail system doesn’t look like it was stainless steel. I thought those were used for grounding purposes. I don’t know those technical details. It’s working if that’s any indication.